Permitting a Project ⋆ Designers Northwest, Inc. In Clark County, or local city jurisdictions, permits are needed for most major remodel plans. In fact, some smaller jobs need a permit, too: any fence over 6-feet high, any deck more than 30 inches off the ground, and any shed or outbuilding more than 200 square feet all need permits. While getting a permit for a few extra few inches on a fence or deck may seem overkill, this process is absolutely needed for larger jobs, such as a large kitchen remodel or a home addition. These permits are needed to make sure all requirements are understood, any needed upgrades are made, and any other regulations are followed. And, the larger the job, the larger the permit fees. This protects not only the homeowner and remodeler, but any future homeowner as well. 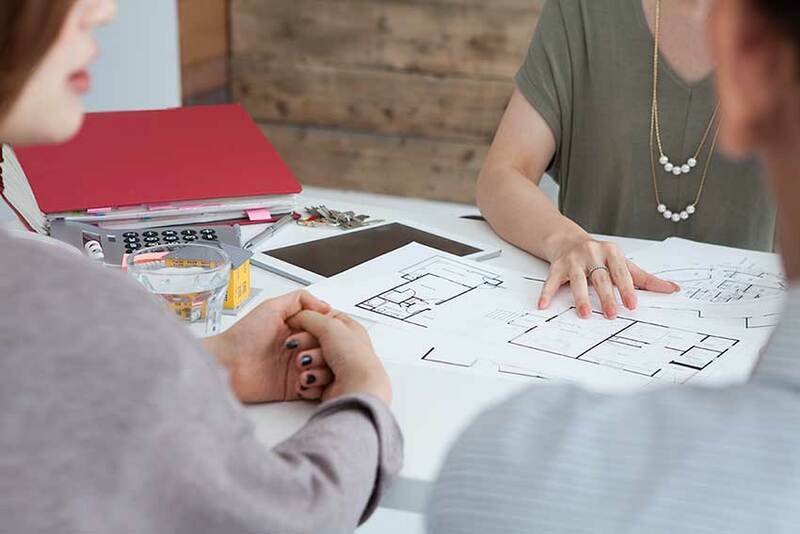 To permit a project – large or small – plans need to be brought to the county to make sure the job is viable and takes into consideration any setbacks that are in play. A permit also requires inspections each step along the way. Framing, insulation, power, and plumbing all need to be inspected along the way to make sure the work is being done correctly. From the initial permit application to the final inspection, planning is paramount. For example, before the drywall goes up in a new kitchen, the wiring and plumbing need to be inspected. The same is true for any exterior work. Window installation, building paper, flashing, shingles, and siding all need to be done in the proper order and inspected along the way. It can be a tiring and sometimes frustrating process, especially if a homeowner has never done it before. That’s one of the reasons Designers Northwest, Inc., takes care of the permitting process from start to finish. During the design process, Designers Northwest, Inc., narrows down the scope of the job to make for an accurate cost, both for the permit process and then job itself. Once the design is finalized, Designers Northwest, Inc., begins the process. This includes visits to the job site for measurements, visits to the planning offices of the County or City, and scheduling of inspections. It’s one more way we work hard to make the remodeling process easier for the homeowner. For more information on the permitting process, or to schedule a time to talk about a remodel, click here to contact Designers Northwest, Inc. We are a fully licensed and bonded home remodeling and design firm that has more than 30 years of experience.